The most satisfying feeling is being able to pack everything you need in a carry-on and breeze out of the airport without having to wait for your luggage. I feel a sense of accomplishment and pride in being able to pack light. On the other hand, overpacking makes me feel stuck knowing I’ll have to lug around a heavy suitcase from place to place. After years of travelling, and lots of trial and error, I have it down to five simple rules. You don’t want to end up with a bag they won’t allow you to take on the plane with you and be forced to check it, watching your dreams of not waiting at the baggage carousel fade as your suitcase slides along the conveyer belt to wherever they take the bags. This would seriously put a damper on the start of your trip to Europe! 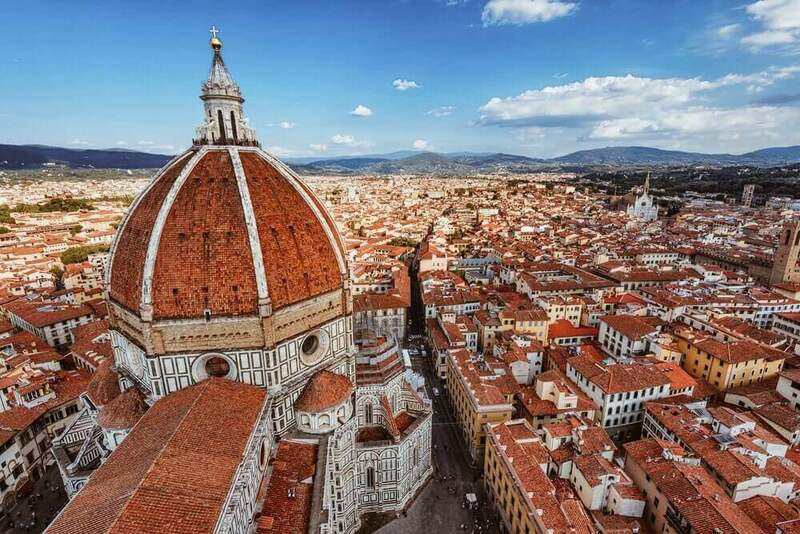 Have the perfect dinner in Florence on your trip to Europe. 2. Make lists: what exactly do you need for your trip to Europe? This may seem obvious, but I like to make very precise packing lists. Based on my trip itinerary, I calculate how many pieces I need to bring. Although, I do always make sure to bring spare socks and underwear. Most people fold their clothes for packing. 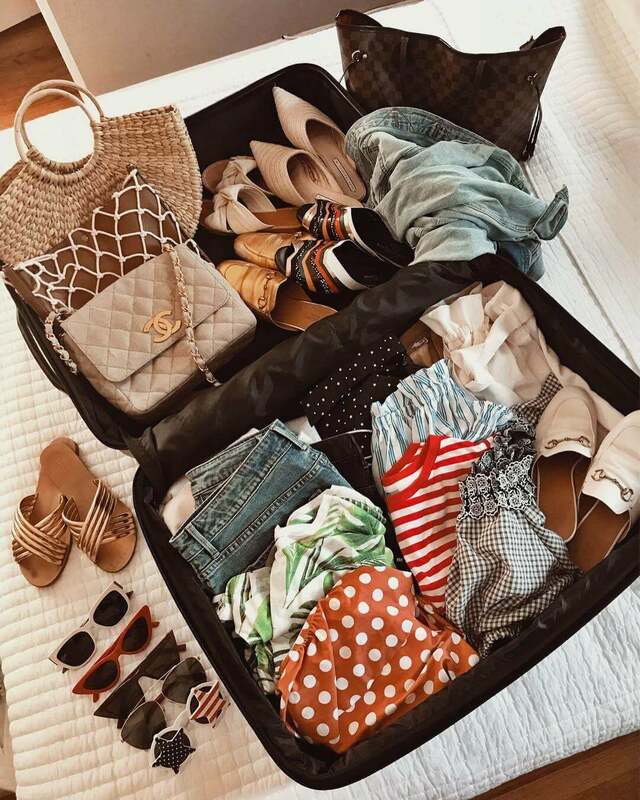 I have learned through years of packing, unpacking, and repacking, as well as YouTube videos posted by flight attendants, that the best way to maximize the space in your suitcase is by rolling your clothes rather than folding! Take advantage of every centimetre of space in your bag by putting smaller objects (cosmetics, socks, etc.) into plastic bags and stuffing them in your shoes. 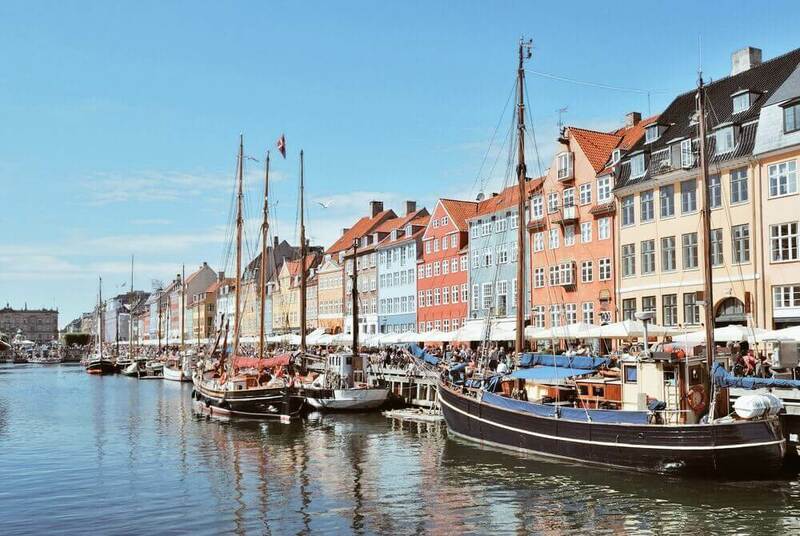 Wander around the streets of Copenhagen on your trip to Europe. This may also seem obvious, but I have yet to pack early enough to not be pressured for time. I often end up shoving things into my bag as I leave the house and making stops on the way to the airport for last minute things that I forgot. Don’t travel like that; it’s not worth it. 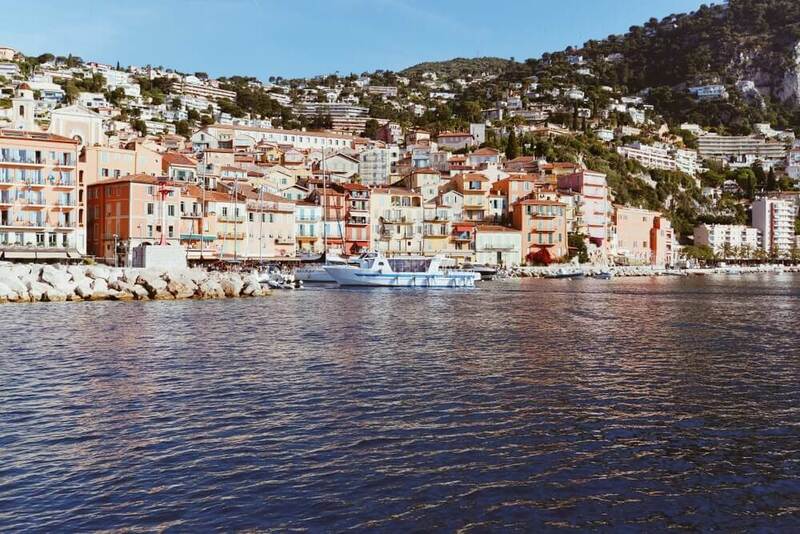 Walk around the beached of Nice on your trip to Europe. Pack items that you can mix and match. Bring along a couple of interesting light-weight accessories, maybe a scarf or statement necklace to make your outfit unique, but stick to basics and layers that compliment one another. It’s so easy to get caught up daydreaming about what I’ll wear on the perfect dinner out in Florence, walking around the streets of Copenhagen, or to the beach in Nice that I’ll end up packing items I never wear at home because I think this trip will be the occasion I’ve been looking for. Sometimes it’s taken until the end of my trip to realize that certain items were left unworn, folded at the bottom of my suitcase, and usually, these pieces are the same things I had to justify packing from the beginning. What a waste of space and weight! This isn’t to say not to pack any, but be strategic in the special, statement items you choose to pack. And never forget to check the weather reports for your destinations! Don’t sneak those extra sweaters, dresses, or boots into your suitcase. Those cheating items will bring you from a lightweight happy packer to miserable over packer in no time. Be harsh with yourself, and remember – practice makes perfect! I still struggle with this, and I am always looking for new ways to pack lightly. Do you have any tips for minimizing your baggage? Let us know in the comments below! We may not be able to save you time on packing but we can save you time on planning! 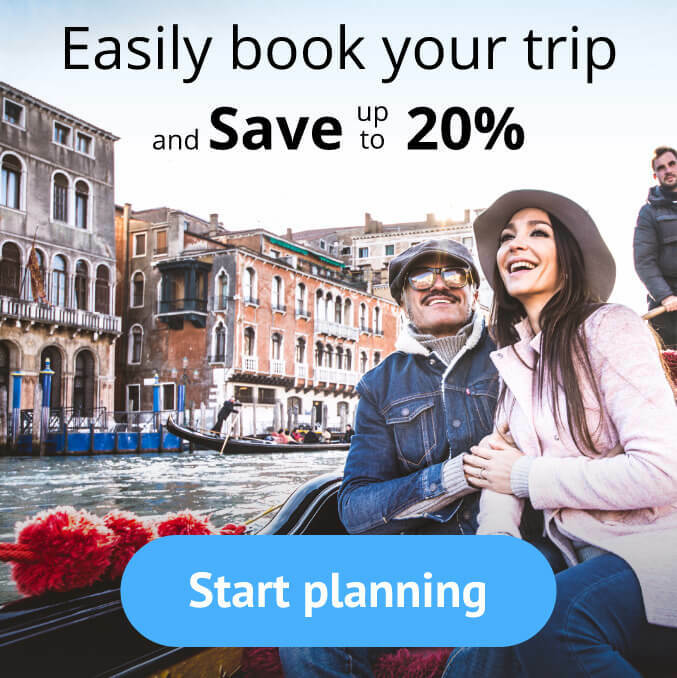 Head to www.routeperferct.com to start planning your next perfect trip to Europe. Packing for your trip to Europe can be difficult and stressful. Follow these 5 simple tips on the art of packing light for your next trip to Europe! Risi is an avid traveler with a passion for writing, She combines her two loves by writing for our blog. When she isn't recording her latest adventure, she is busy planning the next one!